Winterbourne Publishing is a boutique Australian e-publisher of speculative fiction by new or unknown Australian authors. They are based in Perth, Western Australia. 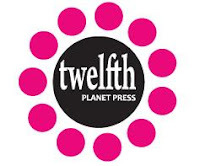 Their goals are to offer an open door to new and emerging Australian SF/F writers, provide high-quality stories outside the mundane mainstream, and increase the appeal of ebooks through wide distribution, ease of access (no DRM), and reasonable prices. independent publishing house founded by Russell B. Farr in 1996. The publisher specialises in collections of science fiction, fantasy and horror short stories. Between 1996 and 1999, Ticonderoga Press published collections by Steven Utley, Sean Williams, Stephen Dedman and Simon Brown. Morrigan Books is an independent press company, dedicated to furthering the work of writers and editors working within the field of dark fiction. Not an Australian company but very supportive of australian speculative fiction authors. Particularly those writing dark fiction. FableCroft Publishing is an independent press dedicated to the future of speculative fiction in Australia. The creation of Australian editor Tehani Wessely, FableCroft has a charter to promote new and established authors and artists in the speculative fiction field, as well as the broad genre as a whole. Really Blue Books is an independent fiction and non-fiction epublisher located in Melbourne. They aim to discover fress talent and deliver new material in multiple formats. They are anti-Digital Rights Management (DRM). Really Blue Books acts as both an epublisher and online distributor. They have ebooks available for purchase from their website and from third party distributors. Clan Destine Press publish a range of cross-genre works, from the serious to the comedic, from heroic to dark and gritty. Their authors are Australian and they pursue fiction that is diverse and inclusive. They have a particular aim to uncover, foster and promote new Australian genre writers and to provide a place for published authors to explore new directions.